The dedication that Sir Gabriel Igbinedion has to aviation matters is a tribute to Nigerian development of commercial aviation. "The Chief, has proved himself to be a shrewd businessman and since 1983, Okada Air has gone from strength to strength culminating today in the ownership of Boeing 747-100 Jumbo Jet. The Chief, ever resourceful, proud and sometimes vain will undoubtedly never be forgotten by those in the Aviation Industry. From early beginnings through to more than 22 British Aircraft Corporation BAC 1-11 's, HS125, Shorts 330, DC8-62, B727-200 and many other types, Okada Air with the support of the Chief rode all the problems. 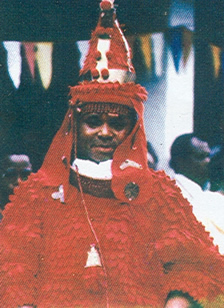 The Chief and I had good years and bad years but whenever the business was over the Chief is always very sociable and hospitable and, of course, always the Chief and Nigerian." Thus, from all indications Chief Igbinedion exhibits the same qualities at home and outside Nigeria. He is an astute businessman who separates his business objectives from his other desires. 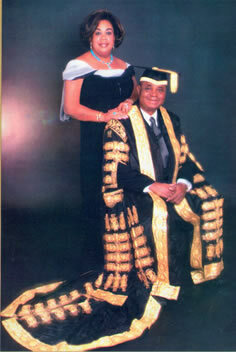 He is hospitable and a philanthropist and a worthy ambassador of his country; 'always the Chief and Nigerian'. In a letter dated 18th May 1994 by another of Chief Igbinedion's business partners, Mick O'Regan, the Senior Sales Executive of Aer Lingus, Dublin, Ireland, Chief Igbinedion was commended for his effort in the development of the Okada Airline; particularly in the area of personnel training and aircraft maintenance. Aer Lingus "recognised in the Chief an aviator with a tremendous foresight and a powerful determination to succeed". Chief Igbinedion's international business associates are many and reviewing the comments of their business relationship with the Chief will be endless. 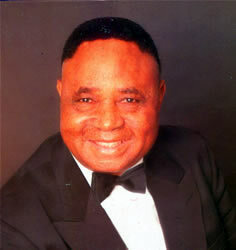 But this biography will not be complete without reference to one of Chief Igbinedion's associates in the airline industry; Derek Lowe of the Executive Jet Sales Limited, London. In a commissioned memo dated 21st June 1994, Derek Lowe told a story of his business contact with Chief Igbinedion over the Chief's first executive aircraft, HS125 purchased in 1981. "In July 1981, Chief bought an HSI25-3BRA from us. The aircraft had been positioned at Cranfield and Chief arrived at the airport in a chauffeur driven car, together with a solicitor and a Nigerian pilot. The aircraft had been prepared for a demonstration flight. Chief asked the solicitor, if he was confident that all the documentation was in order. As soon as he confirmed that it was, Chief showed him to a seat on board the aircraft. The pilot was next to be questioned, this time about the technical condition of the aircraft and when he confirmed that he too was happy, he was given a seat inside the cabin. Chief then asked me if I was entirely confident that all documentation was in order and was suitable for the proposed operations in Nigeria, to which I confirmed that it was. Chief then said that he hoped that I too would enjoy the flight to Heathrow. I then showed Chief the best seat on board the aircraft, but he told me, in no uncertain terms, that he had no intention whatsoever of going on this fight. He was going to Heathrow in the Rolls Royce! He would only consider buying this aircraft and flying in it when he was entirely sure we remained confident in the aircraft and had arrived at Heathrow safely! This was obviously a West African version of the experienced pilot's precaution of inviting the Chief Engineer to come on the test flight after an aircraft had undergone an engine change." From the above, it is again obvious that Chief Osawaru Igbinedion, apart from being a seasoned industrialist and "inimitable magnate of the aviation industry" is also an astute businessman of rare quality. The episode narrated above may appear simple, yet there is a lot of common sense in it. Chief Igbinedion's success in his business drive hinges on his ability to take risks and venture into the unknown, tempered with his excellent use of common sense.